I’m pretty sure Emily Dickinson didn’t have a baby screech owl in mind when she wrote those words, but I can tell you that Monteen McCord, the Bird Lady of Canton, Georgia, believes it in her very soul. 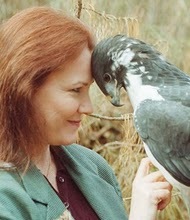 For the past 25 years, as founder of Hawk Talk, she has taken in birds of prey, healed them, and released them into the wild when possible – or kept them as educational pets that she can take into the classroom and blow little kids’ minds. 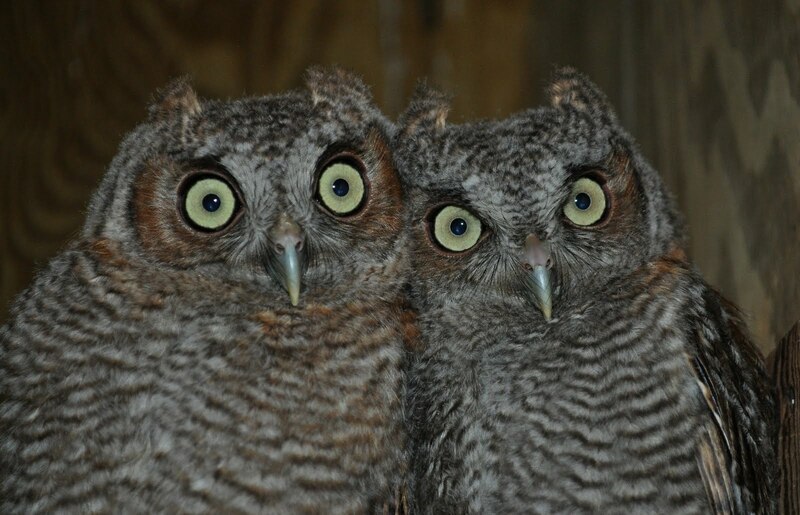 Her career as a Raptor Rehabilitator started when she was a surgical nurse-turned veterinarian nurse, and saw her first Great Horned Owl in distress. 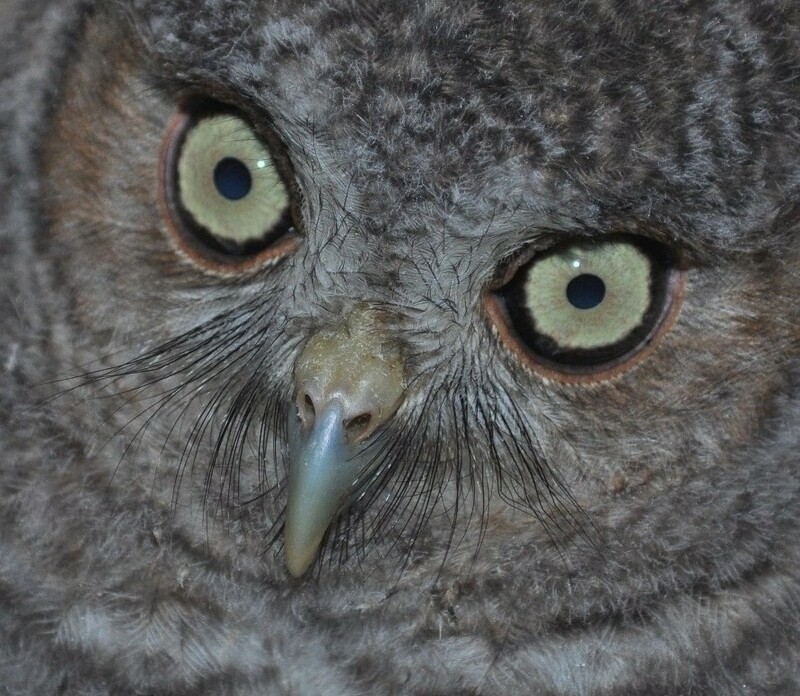 It’s odd to think that predator birds need someone to protect them, but every year, McCord gets dozens of birds that have been injured, run over, fallen out of downed trees, or orphaned. She takes them in, gives them her love, attention, and a few jumbo mice to eat every day – and before you can say “red shouldered hawk,” they are winging their way back into the wild. 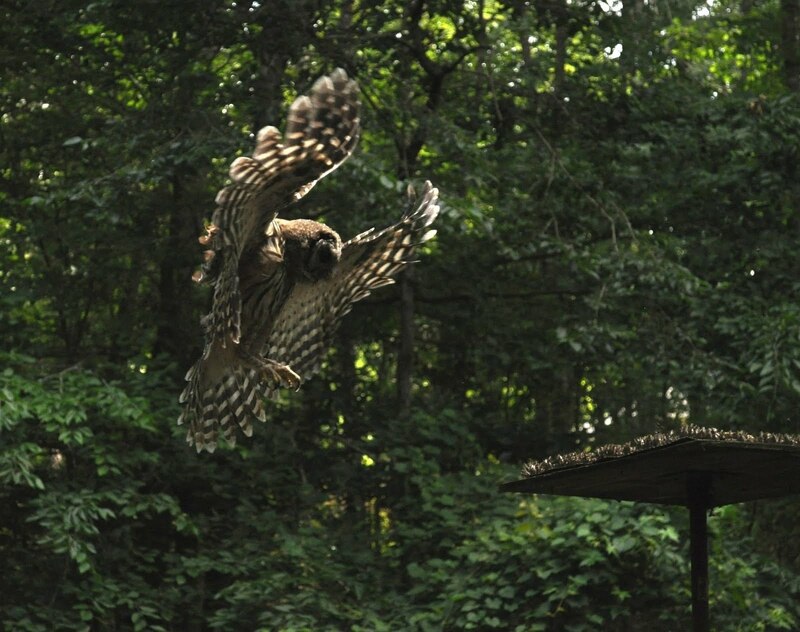 A rescued barred owl young'un, coming in for a landing! 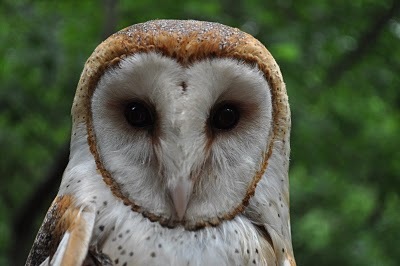 Her blog is one of most weirdly fascinating things I’ve read in awhile – with gorgeous pictures of the raptors, and arcane knowledge of hacking, trilling, nares and nubbins – it’s like stumbling upon a gothic novel with characters like Grace the red-shouldered hawk (she’s an angel, even though RSH are noisy, disruptive and not crowd-pleasers ); Icabod the barn owl (gorgeous, independent, and sweet-looking but ferocious) and Sam, the domesticated great horned owl (lovable, charismatic and majestic). Plus all the chickens, roosters and cats that McCord takes in, just because she’s got a heart of gold (my words) and boogers for brains (her words). Although she doesn’t have her veterinary license, McCord works with Loving Hands Animal Clinic to get her raptors the medical care they need, then she takes them home for the TLC that will get them back in the skies. Despite the fact that care includes midnight feedings and pre-dawn mouse meals to prepare every day, as well as a constant effort to raise money to support Hawk Talk, she loves her birds with all her heart. My $100 today goes to Hawk Talk to buy 200 jumbo mice (eeeeeek!) that will feed 10 big birds of prey for 10 days. 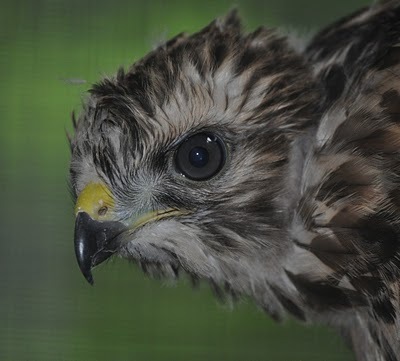 You can support Hawk Talk by clicking here – or come to meet Monteen and a few of her raptors at Champs, at North Point in Alpharetta, where a $10 admission will get you a drink, lovely food, and a personal introduction to some very flighty characters. Check the blogspot for details!